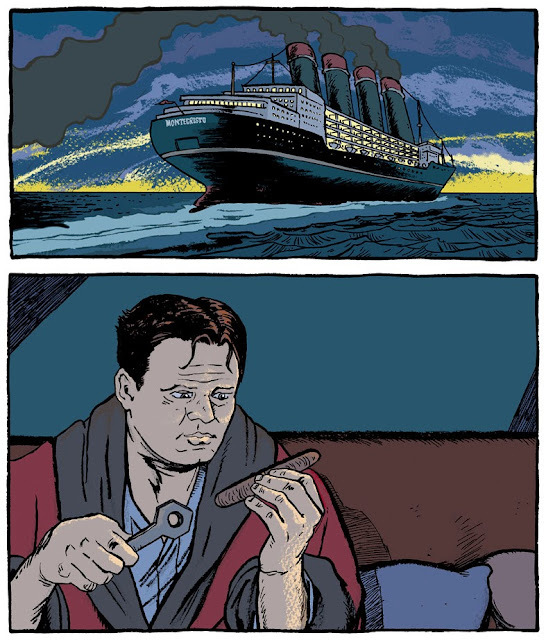 THE CIGAR THAT FELL IN A LOVE WITH A PIPE, Is new graphic novel coming from the minds and hands of writer David Camus & writer/artist Nick Abadzis with the flat colour work being done by me. It was a great pleasure to work alongside Nick to get this done. This book was forged in the hellish heat of summer in two countries and i can say without a shadow of doubt that it was 'Completely' worth it. If you looking for more regular updates head on over to the CIGAR blog where you'll be able to get sketches, drawings, sneak previews and many other little insights into the making of the book, leading up to its publication by SelfMade Hero / Abrams in Spring 2014.